Bitterly disappointed when his family falls asleep as he plays his newfound harmonica, a spirited young pig runs away'only to undergo harrowing adventures before he, with the aid of his magical sleep-inducing harmonica, can be reunited with his loving family. William Steig's drawings have appeared regularly in The New Yorker since 1930. He also writes and illustrates books for children, most recently Pete's A Pizza, Zeke Pippin and Doctor De Soto Goes to Africa. 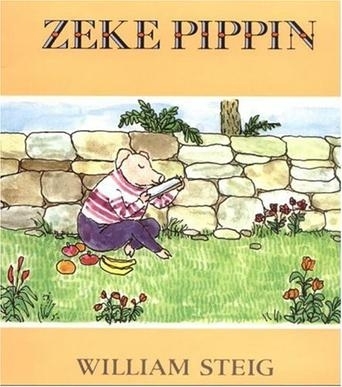 His other books include Sylvester and the Magic Pebble, winner of the Caldecott Medal; The Amazing Bone, a Caldecott Honor Book; and Abel's Island and Doctor De Soto, both Newbery Honor Books.He lives in Boston with his wife, Jeanne.